— Marcia Angell, former editor-in-chief, the New England Journal of Medicine, and author of The Truth About the Drug Companies: How They Deceive Us and What to Do About It. "Jeanne Lenzer's incisive investigation of one man's quest for medical justice - and the regulatory failures behind it - is a must-read for anyone wanting to understand the risks faced by all of us during routine procedures. And it should be, for all of us, a call to action." "In this biomedical-corporate-political thriller, Lenzer reveals the recipe for disaster that is the medical device industry...Read this book and learn why it's critical to distinguish what is technically possible from what actually helps patients." "Intensive reporting on the downsides of the high-risk medical device industry. Reading like a cross between a riveting medical thriller and "a Kafka novel," the book is a powerful cautionary tale [and]...[a]n impassioned exposé that uncovers a significant danger within the contemporary health care industry. Americans live shorter, sicker lives than citizens of peer nations, at far greater expense. 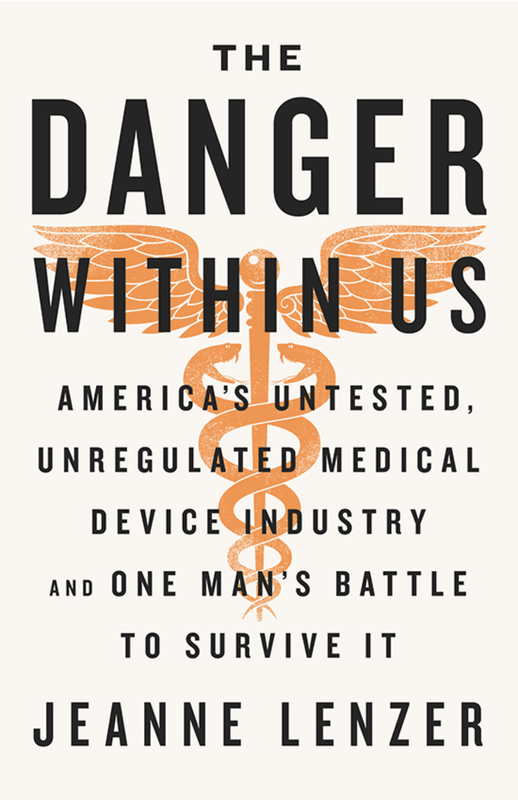 In The Danger within Us, award-winning journalist Jeanne Lenzer explores how we got to this point, taking as her lens the wildly profitable, powerful, and unaccountable medical device industry. Vividly illustrating the costs and consequences of this industry in the lives of ordinary Americans, Lenzer tells the story of one working class man who ends up in a David and Goliath fight for justice after a medical device in his body nearly kills him. His crusade leads to shocking revelations: Corporate greed, shameless profiteering, corrupt doctors and regulators, and a terrifying lack of oversight, all of which is leading to dangerous devices going to market and into our bodies.